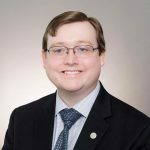 Hunter White, Communications Director for the national Republican Political organization Republicans Against Marijuana Prohibition (RAMP), rebuts Howie Katz's column. My name is Hunter White, I am the Communications Director for the national Republican Political organization Republicans Against Marijuana Prohibition (RAMP) and I write today to respectfully disagree with Mr. Katz’s characterization of marijuana as the most dangerous drug of all. Mr. Katz article lays out a host of scary claims about marijuana. Mr. Katz argument seems to break down into three main points. First, Mr. Katz claims that marijuana is a gateway drug to harder drug use. Second, Mr. Katz claims that marijuana is unsafe, and poses a substantial risk to public health. Finally, Mr. Katz claims that organized crime will reap the befit of legal marijuana. Mr. Katz begins his argument by claiming that marijuana is a gateway drug. He sites his own personal experiences as a narcotic enforcement officer, and a 20-year study conducted by Professor Wayne Hall which Mr. Katz claims supports his contention. To begin, anecdotal experiences are no replacement for actual scientific testing. If anecdotal experiences could, then marijuana would be legal as hundreds of thousands of cancers sufferers, epilepsy sufferers, MS, Parkinson’s, ALS, and those suffering from a host of other illness would be able to access marijuana. Mr. Katz also claims that Professor Hall’s study backs up his claim. Unfortunately, it appears that Mr. Katz did not bother to read Mr. Hall’s study or is disingenuously choosing to ignore large portions of that study. Mr. Hall’s study did not claim that Marijuana is highly addictive, the precise language of the study was “If cannabis is not addictive then neither is heroin or alcohol.” A subtle distinction, but notable for its difference from Mr. Katz claim that the study reflects that marijuana is highly addictive. An honest marijuana advocate would never claim that marijuana is not additive. The issue is how additive it is. Studies from the national Institute of Health put the rate of marijuana addiction at 9% of users. For a frame of reference Heroin has an addiction rate of 23%. It is also important to note that almost in substance or behavior can become psychologically addictive. There is nothing intrinsically special about drug use. If a substance or activity effects the brains dopamine reward pathways, it can become addictive. Other studies contradict Mr. Katz and Mr. Halls claims that marijuana is a gateway drug. Vice systematically lays out, with citations, a point by point dismantling of this argument. To put it simply, there are other factors besides marijuana use that have significantly greater impacts on the likelihood that one will go on to use other drugs besides marijuana. Socioeconomic class, preexisting mental health issues, family background, geographic location, and genetics play significantly bigger parts of addiction than marijuana use alone. Mr. Katz simply confuses correlation with causation, a common logical fallacy. Mr. Katz should also note that Mr. Halls study makes the same logical mistake by failing to account for other risk factors of addiction beyond marijuana use itself. Other studies by the National Institute of Drug abuse bolster the claim that marijuana is not a gateway drug. The vast majority of marijuana users never go on to harder drugs. This conclusion is supported by studies from the Benjamin Center of Public Policy Initiatives at SUNY New Paltz. in which the authors conclude the idea that marijuana use is a gateway to using harder drugs is a myth. A study conducted by The National Academy of Sciences and the RAND corporation found “marijuana has no causal influence over hard drug initiation.”. In fact, Mr. Katz overlooks studies that indicate that if any such gateway drug really existed alcohol seems to be it. Truly the gateway drug idea itself is simply absurd. There is nothing intrinsic in marijuana that makesusers more likely to use other drugs. The idea that some drug would make you more likely to use other drugs stretches credibility. Science does not support Mr. Katz position, or the gateway drug theory, and certainly science does not support the proposition that we should continue to lock up hundreds of thousands of Americans a year, and deny life saving medicine to millions of Americans each year because of this outdated and factually incorrect theory. Thus Mr. Katz claim that the marijuana is a gateway drug is factually false. Further, it should be noted that Mr. Katz gateway drug theory could support an argument for legalization itself. As it currently stands marijuana is a black-market product. This means it is sold by drug dealers who often have access to other drugs as well. By moving marijuana to a safe regulated, and legal market, marijuana users would no longer have to go to drug dealers who would offer other harder drugs. Mr. Katz next argument appears to be a litany of studies demonstrating that marijuana is unsafe for human use. Let us first begin with some simple observations. There has never been a recorded death due to marijuana alone. It is impossible to overdose on marijuana. Dronabinol is an FDA approved treatment for mitigating pain, vomiting, and appetite loss from chemotherapy drugs. To be FDA approved, it must show a clinically significant effect on those symptoms. Dronabinol is synthetic THC, the primary active ingredient in Marijuana. Apparently, the FDA believes that the active drug in marijuana is effective in treating the very symptoms Mr. Katz claims it is ineffective at treating. Moreover, for every claim of marijuana’s ineffectiveness in treating symptoms or disorders Mr. Katz sites, there is a contradicting study to say marijuana is an effective treatment. Mr. Katz claims the American Epilepsy Society says that marijuana is ineffective and yet its most recent study published in 2017 states that CBD, the other primary active ingredient in marijuana is an effective treatment for treatment resistant forms of epilepsy. A glaring omission on his part. Mr. Katz claims that marijuana is ineffective at treating pain. I suppose his alternative is to continue the use of prescription opioids which have fueled the opioid epidemic. Thankfully studies seem to undermine his position. Marijuana is effective at treating pain. I will say that again, and again, and again. Marijuana is an effective alternative to opioid pain treatments. What is more, chronic pain sufferers overwhelmingly prefer marijuana-based pain treatment to opioid based pain treatment citing marijuana as more effective, with less side effects, and less risk of addiction. Opioid use has fallen in states which have legalized medical marijuana, which further undermines Mr. Katz claim that marijuana is a gateway drug. Further, the Federal Government seems to believe that marijuana is an effective treatment for chronic pain, as it has already given out patents for its use for that very purpose. Mr. Katz claims that American Glaucoma Society believes that marijuana has no scientific basis for treatment. This is factually incorrect, as numerous studies published by the American Glaucoma society indicate that marijuana effectively lowers interocular pressure, rather the American Glaucoma Society has raise concerns that the pressure reduction is short term, requiring follow up doses. This is a far different position than Mr. Katz claims they take. Further, Mr. Katz omits why the American Glaucoma Society expresses that the risk may out weigh the benefits, as the studies cite the current illegality of the substance as a major risk factor. What is more, the common theme from many of the American Glaucoma Society reports is that more scientific research is needed, rather than marijuana is ineffective. It is also important to note that the Federal government seems to believe that marijuana is a safe and effective treatment for glaucoma as the Compassionate Investigational New Drug program currently gives four glaucoma patients one ounce of marijuana a month to treat their glaucoma following a federal court ruling which found marijuana to be scientifically effective at treating the condition. Another glaring omission on Mr. Katz part. Mr. Katz claims that Marijuana causes damage to the brain. This is simply not true. I repeat, marijuana use does not cause brain damage, or brain abnormalities. What is more, the Federal Government seems to take this position, as the Department of Health and Human Services holds a patent on marijuana as a neuroprotector, meaning the Federal Government believes it actually protects the brain rather than harming it. I am sure Mr. Katz just overlooked all the contrary evidence, rather than trying to deliberately mislead on this point. Mr. Katz claims that marijuana is ineffective at treating symptoms of MS, and yet study, after study, after study, after study, after study seem to contradict Mr. Katz claim. What is also important to note is that all of these studies call for more research and note the current illegality of the product as a risk factor for use. Mr. Katz claims that marijuana use poses a risk of triggering Schizophrenia, however what he fails to point out from the study he sites, or findings from other studies on this subject is that risk is only prominent in those who already have a genetic predisposition to Schizophrenia. Simply put, if one has this predisposition, they should avoid the drug. This not unlike any other risk factor or side effect of any other drug which exist. Mr. Katz fearmongering obscures the reality of the findings. Mr. Katz cites foreign studies which indicate that immediate marijuana use is associated with impairment in ones’ ability to operate a motor vehicle and increases the risk of an accident. This should not be a surprise, if you are stoned, you should not drive, just like if you are drunk, you should not drive. Oddly enough, Mr. Katz fails to mention that studies from the National Highway Transportation Safety Administration which indicate that while the detectable amounts of marijuana in those who have experienced accidents has risen slightly in states which have legalized recreational marijuana, the relative risk posed by marijuana impairment is low if any, and significantly lower than the risk posed by alcohol consumption. Further, studies in the states on vehicle accidents and marijuana use have been unable to determine a causal link between marijuana use and accidents, only an increase in the detachable amounts of marijuana in one’s system. This is significant to note as marijuana can remain in detectable amounts in one’s body for up to 90 days after use with no effect on cognitive functioning. Once again, Mr. Katz appears to be confusing correlation with causation, or he is just cherry-picking studies which support his Prohibitionist position. Simply put, for every study Mr. Katz cited, there are a host of other studies contradicting those claims. Further, several of the studies he cites have glaring omissions such as qualifiers for risk factors, or account for outside risk factors contributing to results. Mr. Katz final claim, interestingly enough, seems to be that legal marijuana will lead to anincrease in illegal marijuana revenue. This statement is questionable to say the least. Mr. Katz is of the opinion that marijuana users will continue to seek the black-market marijuana because it is tax free. With marijuana reform sweeping this county, the conversation about the effective tax rate for marijuana is becoming increasingly important. States like California are already set to lower their tax rate on marijuana to snuff out black-market competition. Marijuana cannot be taxed too highly or else Mr. Katz fear would be justified. However, states like Colorado, Oregon, Alaska, and Washington have all adopted tax rates which have effectively snuffed out the intrastate marijuana black-market. Mr. Katz claim stretches credulity. States like Colorado, Oregon, Washington, and Alaska have all shown that marijuana users are willing to pay a sizeable tax on marijuana if they can get access to a safe, clean, regulated product without the fear of violence inherent in the back-market. Historical examples also seem to undermine Mr. Katz argument. Alcohol and Tabaco are highly taxed products, in some states even more highly taxed than marijuana. However, these states do not suffer a rampant black-market of bootleggers and illicit tobacco dealers. When people have a safe, legal option they are willing to pay more for the peace of mind of knowing their product is free of pesticides, molds, and other containments. People are willing to pay more to know the strength and potency of their product. Mr. Katz claim is further undermined by the fact that studies have found that Mexican drug cartels are moving away from marijuana as a revenue source. However, cartels will continue to smuggle marijuana into states like Texas and Arizona for as long as legal marijuana remains inaccessible. Further, Mr. Katz claims also seems to overlook the fact that violent crime has gone down in states which have decriminalized, or legalized recreational marijuana. Simply put, Mr. Katz concerns are, in some sense valid, but his conclusion and reasoning are not. Marijuana users would gladly pay a bit more for safe legal access, the cartels are pulling out of the marijuana market as cheaper, safer marijuana becomes available, and crime is dropping because if this safe, legal access. I respectfully disagree with Mr. Katz’s characterization of the risk of marijuana. Worse yet, I believe that Mr. Katz is either grossly misinformed, willfully ignorant, or completely blind to the mountains of contradicting evidence that exist for each and every one of his positions. Mr. Katz has utterly failed to accurately reflect the real risk of marijuana and has done so without ever once acknowledging contrary facts and evidence to his position. It is wholly irresponsible to allow one’s own personal bias to be a reason to deny medicine to millions of Americans who suffer needlessly. It is morally reprehensible to use one’s prejudices to justify incarcerating hundreds of thousands of Americans each year. It is completely shameful to allows one’s narrow view deny billions in economic growth to Americans in need of good, stable jobs. It is utterly contemptable to take to the public forum and seek to scare readers of the danger of something that they have little to no reason to fear. If you would like to write a guest column for Big Jolly Politics, click on the Contact button above and let us know! We love different opinions! Excellent job, Hunter! Truth is always better than scare tactics and governmental propaganda. Citations were omitted, losing some of the literary effect. Even so, I will include all the sources here. Anthony JC, Warner LA, Kessler RC. Comparative epidemiology of dependence on tobacco, alcohol, controlled substances, and inhalants: Basic findings from the National Comorbidity Survey. Exp Clin Psychopharmacol. 1994;2(3):244-268. doi:10.1037/1064-1297.2.3.244. 4. Lopez-Quintero C, Pérez de los Cobos J, Hasin DS, et al. Probability and predictors of transition from first use to dependence on nicotine, alcohol, cannabis, and cocaine: results of the National Epidemiologic Survey on Alcohol and Related Conditions (NESARC). Drug Alcohol Depend. 2011;115(1-2):120-130. doi:10.1016/j.drugalcdep.2010.11.004. 5. Lopez-Quintero C, Pérez de los Cobos J, Hasin DS, et al. Probability and predictors of transition from first use to dependence on nicotine, alcohol, cannabis, and cocaine: results of the National Epidemiologic Survey on Alcohol and Related Conditions (NESARC). Drug Alcohol Depend. 2011;115(1-2):120-130. doi:10.1016/j.drugalcdep.2010.11.004. 32. Rudroff T, Honce JM. Cannabis and Multiple Sclerosis – The Way Forward. Frontiers in Neurology. Jun 23; 8, 2017. 34. Compton RP, Berning A. Drug and Alcohol Crash Risk. Washington, DC: National Highway Traffic Safety Administration; 2015. DOT HA 812 117. Mr. White, you have shredded me to biis with materials you have prepared long ago. I could debunk several of your point, but what’s the use. I venture to say that you pro-pot organization only has a small minority of Republican members, most of whom probably smoke pot. I take exception to your conclusion that I am morally reprehensible to use my prejudices to justify incarcerating hundreds of thousands of Americans each year. My prejudices are not the reason all those Americans are being incarcerated … They are locked up because they knowingly broke a law they happen to dislike. And it’s not just my personal prejudices. Most law enforcement officers – and there are 800,000 of them in this country – believe that marijuana is a dangerous drug and not beneficial, as do a number of reputable scientists. There are compounds within marijuana which when extracted can treat some of the ailments you described, but smoking pot will not do so. In conclusion, smoking marijuana is not effective medicine. Marijuana is unsafe, and marijuana is the most dangerous drug of all drugs. It’s pot advocates like you that have conned people into believing otherwise. Your assumptions are ill placed and your comments support your ignorance of the issue of medical marijuana, Mr. Katz. Smoking is not the only way people obtain the benefits of cannabis. Again, marijuana is not the most dangerous drug of all drugs. In September 2017, the Washington Post published data from the federal government, stating that rates of marijuana use among the “12- to 17-year-olds dropped to their lowest level in more than two decades.” Moreover, marijuana usage data defy the scare tactics individuals such as yourself have been spewing regarding the creation of a drug epidemic, should medical marijuana be made legal. You say, “Most law enforcement officers – and there are 800,000 of them in this country – believe that marijuana is a dangerous drug and not beneficial…” but the Pew Research Center states that a majority of police are in favor of legalization of marijuana in some form (32% for legal and personal use; 37% for medical use only) and only a minority 30% oppose any sort of legalization. My interaction with police, sheriffs, and other law enforcement officials indicate that this number should even be higher. In many cases, marijuana is being used as an excuse to search individuals, their vehicles, etc. Regarding “smoking pot,” The Journal of Bone and Mineral Research (conducted by Tel Aviv University and Hebrew University) showed that marijuana strengthens bones and accelerates the healing of fractures. I don’t expect to change your mind, but I do want to debunk the falsities in your post. And just for the record, who cares if Mr. Hunter “prepared long ago” his response. Facts are always in style, Mr. Katz. Ms. Lugo, you’re right, facts are always in style, and many of the studies cited by White and you have been refuted by a number of European researchers. And by the way, White couldn’t even get the title of my article right. I do not know which cops Pew researched, but the many police officers in California, New York and Texas that I know are dead set against the legalization of pot. It is true that they don’t care to mess with pot heads because the courts will only give them a slap on the wrist at worst and it’s just not worth doing an investigation for that. And of course, it stands to reason that the younger generation of cops having been exposed to marijuana in their public school and college lives, would favor its legalization. I’ve known for some time that I’ve been tilting at windmills. The fight against the legalization of marijuana is all but over. I had no intention of making any more comments until I read your statement that “marijuana prohibition is anti-life, racist, and illegally outlawed.” Anti-life and racist? That is absolutely far fetched. Illegally outlawed? Where in the world did you come up with that whopper. Every attempt to challenge the laws prohibiting the manufacture, distribution and possession of marijuana have failed in the Supreme Court. You have all but called me ignorant. I previously stated I would match my intelligence with yours any time. After reading the statement you made, I won’t match my ignorance with yours because you’d be the winner. Think about that the next time you light up a blunt. Just an observation: I find it plausible, that there are medicinally useful compounds available in marijuana. Most of our standard pharmacopeia has its roots in some plant or organism. That fact alone doesn’t justify the widespread legalization of marijuana. Codeine is extraordinarily useful, from a medical point of view. That doesn’t mean that we let people wander around smoking opium. Marijuana may indeed not be physically addictive, but it certainly can be psychologically addictive – just like many other drugs. It’s a DRUG for pity’s sake! I think that Mr. Katz over estimates the dangers of marijuana. And he overreacts to the overstated dangers. But claiming that it is a harmless “herb” simply because it grows naturally and has some possible medical uses is either deliberately misleading or painfully naive. I’m all for using marijuana (or it’s derivatives or components) in any way that is medically useful. I’m not in favor of allowing people to self prescribe or self medicate. As for the comparison to alcohol: Ethanol can be metabolized. And, there is a long history of people consuming alcoholic drinks for reasons other than intoxication. On the other hand, there is absolutely no reason whatsoever, to smoke marijuana except to become intoxicated. This 55 year old republican voter who does not smoke pot agrees with Hunter White. So tired of fighting these dumb culture wars perpetuated by the hard right, Howie Katz faction of the party. Mr. Katz, you really need to educate yourself instead of believing the Reefer Madness. Cannabis is non addictive, and has been used since 5000 BC for Medical purposes. Only during the last 81 years has it been illegal. As a registered Republican, I don’t always follow the brainwashed masses, as it appears you do by even singling out Republicans. I prefer to Think for myself, which most don’t do. As for Police Officers, I know many, and the majority believe their time could be better utilized solving Real Crimes. I have used Cannabis off and on for 34 years, never had a problem quitting. During a 17 year stretch I may have smoked 5 times, because I was in Pain Management, and was constantly being tested. And yes, became addicted to Opiates. I wanted to live, so I quit Opiates with Cannabis. Now you say smoking won’t help, you are very wrong. I suffer extreme Neuropathic pain, 24/7 -365. Cannabis not only relieves this pain, but reduces the swelling in my spine. Gives me a quality of life I haven’t had in a very long time. Much better then walking around in an opiate fog for 17 years, not to mention no Anxiety, or Depression. As far as breaking the law, I am protected under federal law as a Member of ONAC, (Oklevueha Native American Church), under the “Religious Land Use and Institutionalized Persons Act of 2000”. And yes, I am Native American, but anyone can Join ONAC. Actually do some research on this issue, instead of following indoctrination. Think for Yourself. I don’t smoke anything but think that it is not right to lock someone up for smoking a plant. Let’s be honest, half the DA’s office has smoked marijuana at least once. Who are they to be prosecuting poor people who got caught doing exactly what they did in school? I went to law school with many them, and college. I know people who smoke pot and are highly functioning, productive members of society who pay lots of taxes. The policy doesn’t make sense and represents an unconscionable drain on society in terms of government and taxpayer costs and loss of freedoms and rights. It is hard to believe that complete ignorance like Howie’s rant got published here to begin with. Many small government conservatives feel strongly that we should not be wasting resources on this. I also disagree with Mr.Katz assessments mostly based upon the personal stories I’ve been told by families who have watched loved ones suffer. I believe the research favors cannabis as an alternative to prescription opiods, Mr. White did a fine job compiling thosr studies here already. Whether it be cancer or epilepsy, time and time again families have risked their careers, their homes, and even themselves simply to administer a holistic remedy in a state where they will not draw the wrath of the criminal justice system. Do I believe cannabis is the most dangerous drug? Absolutely not. Do I believe cannabis has potential medical benefits? Yes I do. Mr. Katz I feel has an extraordinary bias I presume for very personal reasons. But it will be up to the observant reader to come to their own logical conclusion. Thank you Mr. White for providing a rationale opposing viewpoint. It was sorely needed. It is amazing to me that we are having this debate. 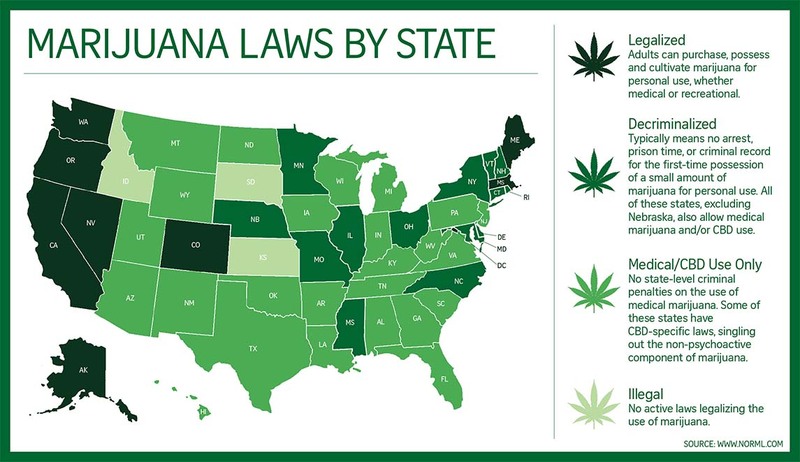 Clearly we are headed to legalizing Marijuana of that there is no doubt. In my opinion It is sad a commentary on the direction of our country. My son was in a Political Science class at U.of H. and 75% of the class was for the legalization of Marijuana. It is going to happen. It is only a matter of time. I tell my own children that if you know of people in your life that smoke Marijuana then they shouldn’t invest time in that relationship. The Marijuana smoker will have baggage that a non-smoker will not have and a relationship with that person will drag you down. Some people say that is harsh. I call that good parenting. One last thing: I take no position on medical marijuana. A doctor should be able to prescribe whatever he needs to prescribe to give a patient relief. A judicial perspective on marijuana: in my 15 years, 2 months and 17 days presiding in Harris County Criminal Court-at-Law No. 8, from my perspective ALCOHOL is the most dangerous drug ever. Why? Because 99.9% of all DWI’s involve the use of alcohol and to a lesser extent opioids and benzodiazepines. And because alcohol use is implicated in many if not most of the domestic violence cases we see in our court, and because alcohol use is implicated in many if not most of the terroristic threat and harassing communications cases we see in our court. I’ve seen marijuana implicated in intoxicated driving cases probably five (5) times in my tenure as judge, and maybe once (1) in domestic violence cases. I choose to suppose that the great majority of weed users are sitting on their comfy couches in the privacy of their own or their friends’ homes, perhaps listening to their favorite Grateful Dead LP, watching (for the umpteenth time) “The Big Lebowski” or playing video games, and snacking on some Extra Hot Cheetoes. Yep, I’m profiling here. ‘Nite. Judge Karahsn, you make one of my points. Hunter White is trying to con people into believing that the risk of accidents by people driving under the influence of pot is low. That flies in the face of state police reports in Washington and Colorado that those states have experienced an alarming increase in traffic accidents involving drivers under the influence of marijuana. I’m sure White is aware of those state police reports, so that his statements to the contrary is a flat out lie! Judge, of whom I am greatly respect, In my opinion you haven’t seen more of these cases involving marijuana because it is illegal. Make it legal for recreational use and there is no doubt you will see more. Paul, if your argument is correct – that legalizing marijuana will add to its implication as the cause or catalyst of the crimes I mentioned – then are you in favor of making alcohol illegal again and if not, why not? To your point, though, I am reading some troubling literature about the rising statistics of DWI in Oregon, Colorado and Washington state since the legalization of recreational marijuana use there. It is looking more and more like marijuana will be further decriminalized if not legalized in most states, and for that reason I’m in favor of stricter DWI laws and more effective detection of THC intoxication. It is currently difficult to prove by scientifically accepted and reliable testing protocols, even with blood draws by warrant. How much active THC in the blood is sufficient to prove intoxication beyond a reasonable doubt? Any way you cut it – weed or alcohol or opiates – we as a society are faced with a DWI problem that is not getting better. Legalize it! Fix our roads and feed our homeless. Take care of our people instead of killing them off with heroin. Or meth. Or alcohol!! That destroys on a daily basis. The rights of the people. I completely agree. It is a shame that you are not on the bench anymore however I believe you will find the private sector a much better place to be. People need you and I wish you the best.